Please note that we can only send frozen bait if you accept full responsibility for the condition of the bait when it is delivered to you. 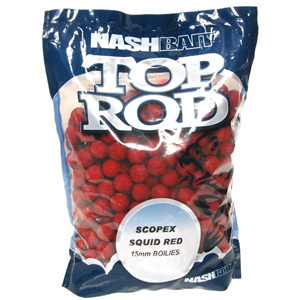 Frozen bait bulk deals despatched direct from the manufacturer can only be sent to the UK. We are unable to send frozen bait under frozen or even refrigerated conditions. For delivery to the UK, we despatch it on a next day service (from day of despatch, not necessarily from day of order)*. Delivery to Europe or elsewhere will take at least 2-3 days. The bait is frozen when it leaves us and we wrap it in bubble wrap to insulate it. However, depending on the transit conditions, and certainly if delivery is delayed, the bait may be defrosted on arrival. We therefore advise you to time your order carefully, so that you will use the bait straightaway. In many cases, bait is produced frozen to remove the need for preservatives. This means that if the bait is allowed to defrost over a few days, for example, if transit is delayed, it may be in an unusable state by the time it reaches you. However most baits are useable once defrosted for up to 5 days. Please note that due to the above factors we are unable to accept responsibility for the condition and usability of frozen bait and therefore, will not reimburse you if you are unhappy with the condition of the bait on arrival. *We despatch all frozen bait using a next day service. This does not mean that an order for frozen bait will arrive the day after it is placed. It means that WHEN we despatch it we will use a next day service (to get it from our freezer to you as quickly as possible). WHEN we despatch depends on whether standard or next day delivery has been requested at the time of the order. If you are ordering before 12pm (Monday to Thursday) and request next day delivery we will despatch your order the same day. If you ask for standard delivery, we will despatch your order as soon as possible (we aim to despatch within 24 hours of order receipt). Please note that we do not despatch orders containing frozen bait on a Friday (as they would not be delivered until Monday). Currently we do not charge extra for delivery of orders containing frozen bait (even though we despatch using a next day service). If any of the above is not clear, please call us for clarification before placing your order containing frozen bait.